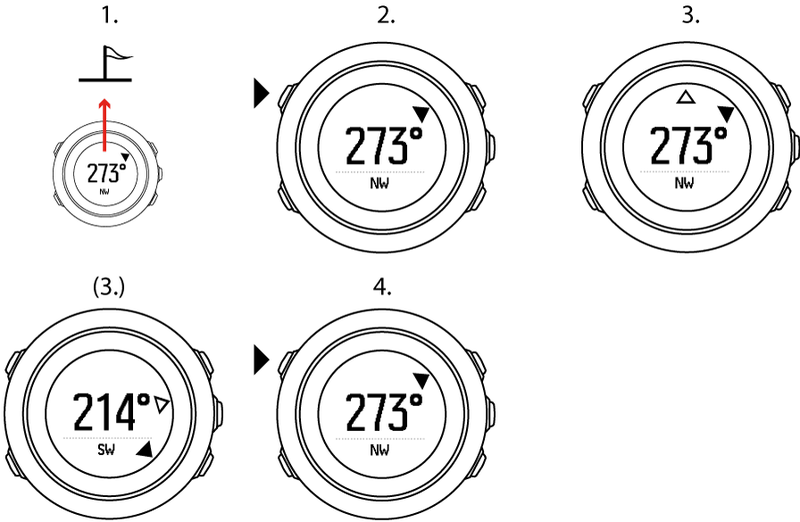 Suunto Traverse has a digital compass that allows you to orient yourself in relation to magnetic north. 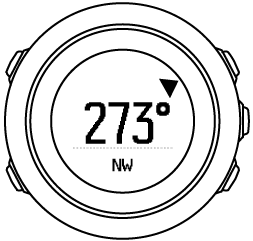 The tilt-compensated compass gives you accurate readings even if the compass is not horizontally level. You can show/hide the compass display from the start menu under DISPLAYS » Compass. You can change the compass display information from the options menu under General » Formats » Compass unit. Select which is the primary value in the center of the compass display: degrees, Mils or cardinals. The compass switches to power saving mode after one minute. Reactivate it with START. If the calibration is successful, the text Calibration successful is displayed. If the calibration does not succeed, the text Calibration failed is displayed. To retry the calibration, press START. If you have already calibrated the compass and want to re-calibrate it, you can manually start the calibration process. Scroll to Compass with LIGHT and select with NEXT. Scroll to Declination with LIGHT and select with NEXT. Turn the declination off by selecting --, or select W (west) or E (east). Set the declination value with START or LIGHT. You can also access the navigation menu and compass settings by pressing START while navigating. 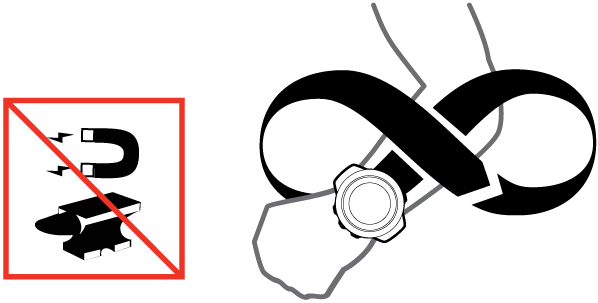 When using the compass while recording an activity, the BACK LAP button only locks and clears the bearing. Exit the compass view to make a lap with BACK LAP.